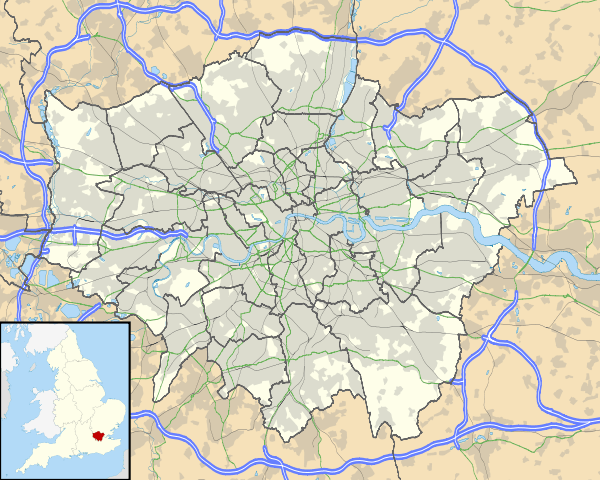 East London Tech City (also known as Tech City and Silicon Roundabout) is a technology district located in East London. It broadly occupies the area between Old Street and Shoreditch areas. It is the third-largest technology startup cluster in the world after San Francisco and New York City. A cluster of web businesses initially developed around the Old Street Roundabout in 2009. The area had historically been relatively run down compared to the City, and the closure of numerous firms during the 2008-09 recession had further suppressed rents making it affordable to technology start-ups. Ironically the area was not served by fibre optic cable in 2009, but only a few hundred metres away, where rents were much higher in the City of London, an extensive fibre optic cable infrastructure was already in place. Amongst the first technology companies located in the area were Dopplr, Last.fm, Consolidated Independent, Tinker.it, flubit, TweetDeck, Berg, Trampoline Systems, AMEE, Skimbit (now Skimlinks), Fotango, weartical.com, Rummble, Songkick, Squiz, Techlightenment, Poke London, Kizoom, BrightLemon, Redmonk, MOO, Believe.in, LShift, Livemusic and WAYN. Plans to help accelerate the growth of the cluster were announced by Prime Minister David Cameron in a speech given in east London on 4 November 2010. A year later, Cameron announced that he was appointing entrepreneur Eric van der Kleij to lead the initiative. In 2010 there were 85 startup companies in the area. By 2011, approximately 200 firms were occupying the area, signifying a rapid increase in interest. Wired magazine updated this figure in 2012 and suggested some 5,000 tech companies were located in the wider area centred on the Old Street roundabout. Wired maintains a topic on the area. A report by EY published in 2016 highlighted the importance of London to the UK's FinTech industry in terms of availability of expertise and demand for services. Investment in London's technology sector was $2.28 billion in 2015, 69 per cent higher than the $1.3 billion raised in 2014. Since 2010, London-based technology companies have collectively raised $5.2 billion of venture capital funding. A number of not-for-profit organisations have created a sense of community in the area including Independent Shoreditch, a business alliance, and Digital Shoreditch, which organises monthly meet-ups plus an annual festival of the same name. The rapid growth of the cluster has met with some criticism. Think tank 'Centre for London' said the development had little focus and could be counter-productive. The think tank also raised concerns over a skills shortage, connectivity, lack of mentoring and rising costs. Tech City has been called a "marketing gimmick" on the wrong side of London (away from Heathrow Airport) which is still over 30% more expensive than any city outside London. James Dyson criticised the government for spending money on the scheme to attract international companies who drive up rents instead of helping start-up and hardware companies who he argues have greater potential than software and internet companies. Tech City is well served by a number of London Buses services. London Underground Northern line (Bank branch) and National Rail Great Northern services at Old Street serve the area at Old Street. With the increase in passenger numbers using the station, in 2014 Transport for London announced that it was to offer pop-up retail space at Old Street station as part of a drive to increase its revenue. 1 2 3 "Cameron reveals Silicon Valley vision for east London". BBC News. 4 November 2010. Retrieved 4 November 2010. ↑ "UK's Cameron To Reveal Plans For Tech City In East London". The Wall Street Journal. 4 November 2010. Archived from the original on November 7, 2010. Retrieved 4 November 2010. ↑ "Silicon Roundabout is alive and well=Tech City News". Retrieved 17 March 2014. ↑ "First came the artists, then came the hackers: The strange history of London's own Silicon Valley". Tech Republic. 16 January 2014. Retrieved 16 January 2014. 1 2 "PM announces East London 'tech city'". Number 10. Retrieved 4 November 2010. 1 2 3 4 5 6 7 8 9 10 11 12 "East End tech city speech". Number 10. Retrieved 4 November 2010. ↑ Clark, Nick (8 September 2011). "Eric van der Kleij: No 10 guru set to super charge UK's Tech City". The Independent. London. Retrieved 18 November 2011. ↑ "Tech-City, London's Silicon Valley". Retrieved 6 November 2016. ↑ WIRED. 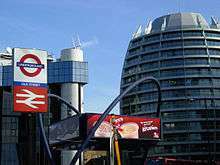 "London's Silicon Roundabout". Retrieved 6 November 2016. ↑ "Tech City UK". Retrieved 6 November 2016. ↑ "EE". Retrieved 6 November 2016. ↑ "Accelerator London – Business Incubator in London". www.accelerator-london.com. Retrieved 2016-06-17. ↑ "London Bus Route 21". Retrieved 6 November 2016. ↑ "London Bus Route 43". Retrieved 6 November 2016. ↑ "London Bus Route 76". Retrieved 6 November 2016. ↑ "London Bus Route 55". Retrieved 6 November 2016. ↑ "London Bus Route 135". Retrieved 6 November 2016. ↑ "London Bus Route 141". Retrieved 6 November 2016. ↑ "London Bus Route 205". Retrieved 6 November 2016. ↑ "London Bus Route 214". Retrieved 6 November 2016. ↑ "London Bus Route 243". Retrieved 6 November 2016. ↑ "London Bus Route 271". Retrieved 6 November 2016. ↑ "London Buses Route N55". Retrieved 6 November 2016. ↑ "London Night Bus Route N205". Retrieved 6 November 2016. ↑ Matters, Transport for London. "Pop-up shops arrive at Old Street Tube station". Retrieved 6 November 2016.